Nestled on opposite banks of the Mississippi River, Minneapolis and St. Paul boast a world-class arts scene, plenty of green space, miles of bike paths and a multi-cultural population from around the world. With more than 13,000 students who speak almost 200 languages, schools and communities strive to help overcome language and cultural barriers in student success. This is where the Generation Next cradle-to-career partnership can help. Seven young African-American children walked up one by one to be recognized for graduating a nine-week African-centered Sankofa Reading Program. A staff member from the Network for the Development of Children of African Descent (NdCAD), based in St. Paul, Minn., explained the progress each student made during the class, which focuses on building reading confidence and cultural identity to help with overall academic success. Earlier, their parents, who attended the organization’s Parent Power and Literacy Advocacy Workshop Program, were similarly honored and their contributions noted. The pride in the room among parents, students, family members and staff was palpable. 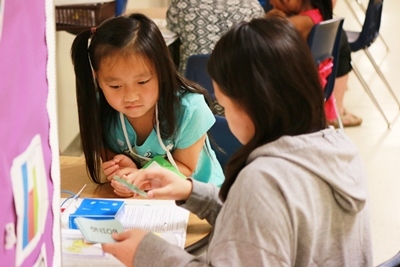 Across town at the East Side Learning Center (ESLC), former teachers, nuns and volunteer tutors work with hundreds of kindergartners through third-graders at four public elementary schools and a summer camp. Many of the students are from Hmong (Laos) and Karen (Cambodia) families where English is a second language. 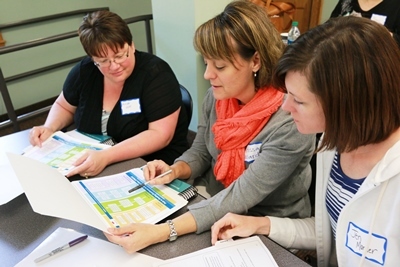 Now, through a collaboration organized by Generation Next, a Minneapolis-St. Paul StriveTogether Cradle to Career Network partnership, NdCAD, ESLC and nine other literacy groups can share data and best practices along with delivery methods, training techniques and culturally specific interventions. With only 37 percent of St. Paul public school students and 42 percent of Minneapolis students meeting third-grade benchmarks in reading, the Literacy Tutoring Network faces some significant challenges. The goal is to make sure that by the end of third grade, each Minneapolis and St. Paul student meets key reading benchmarks. Started as Generation Next’s 3rd Grade Reading Network in spring 2014, the collaborative group has evolved into the Literacy Tutoring Network. Today, the network, which is supported by the Saint Paul Public Schools Foundation, brings together foundations, businesses, government entities, community groups, research experts, University of Minnesota faculty and representatives from the Minneapolis and St. Paul Public Schools — all of whom are focused on closing the reading gap in the cities. Generation Next staff is working with both school districts to understand their strategies and how the tutoring organizations can work more closely with the districts. 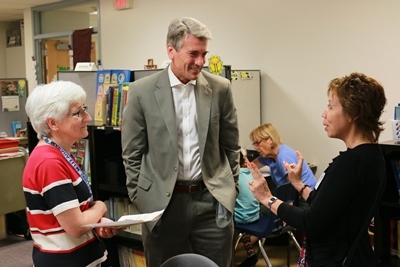 Beyond the literacy collaboration, Rybak says, Generation Next also has brought all the major funders of tutoring programs to the table. The goal is to match specific needs of Literacy Network members and school districts with funders who can provide additional support. Generation Next started in December of 2012 when the then-African American Leadership Forum talked with local leaders about a group that was improving education by bringing together organizations throughout the community to work on common goals for student success. Rybak was included in that initial discussion and immediately knew he wanted to be involved. Throughout his time as Minneapolis mayor, he helped with the work. And when he left office in January 2014, Rybak joined Generation Next as executive director. Today, the partnership has more than 500 individuals and organizations focused on six outcome areas: kindergarten readiness, third-grade reading, eighth-grade math, high school graduation and postsecondary degree obtainment. In May 2015, they adding their sixth outcome around helping students be socially and emotionally ready to learn by eighth grade. And through all the work, Generation Next focuses on equity, especially in such a diverse city. Through Generation Next’s Literacy Tutoring Network, partners look at national research and local data to better serve local students. In fall 2015, the group started using a locally developed platform, FastBridge, to assess young readers’ progress throughout the year, allowing for more timely intervention and support to help them succeed. The assessments will provide valuable information on student progress and allow tutoring program coordinators to make real-time corrections, according to Kara Bixby, director of research and evaluation at the St. Paul Public Schools Foundation, a Generation Next partner. But Generation Next partners know, while data is helpful in determining what works, it is only a piece of the puzzle for working with students from diverse backgrounds who may need different supports, especially when it comes to literacy. Through partners like NdCAD and ESLC that focus on supporting multicultural students, Generation Next focuses on ensuring all students — no matter what background — succeed in school. Generation Next is a broad partnership of organizations and leaders from across Minneapolis and St. Paul — the first of its kind. We represent local schools and government, community organizations and programs, businesses, higher education and philanthropy — all dedicated to educational excellence and narrowing the achievement and opportunity gap. Generation Next is an Emerging member of the StriveTogether Cradle to Career Network.